You’ve probably seen a W-2 a number of times. But do you understand W-2s well enough to answer questions from your employees? If you have full-time employees, it’s a good idea to familiarize yourself with the form before you start sending it out. We’re going to walk you through it below, so you can help employees (and read your own W-2 if you get one). 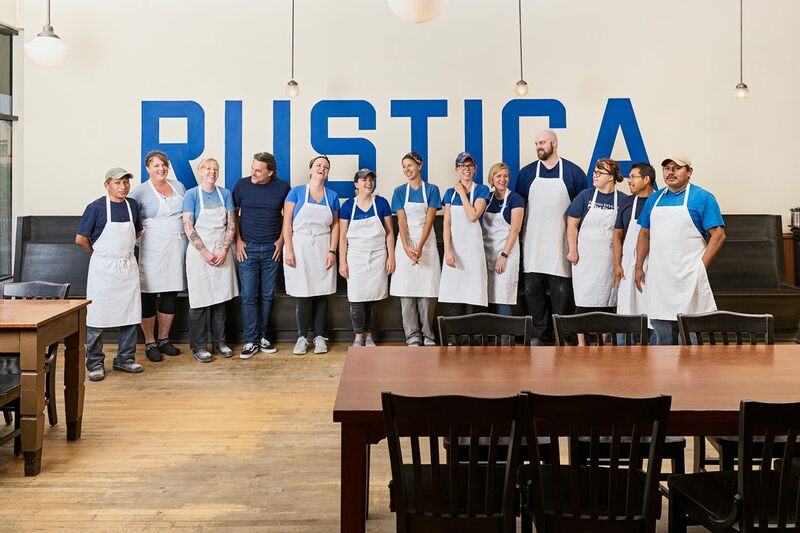 Remember, this post is for educational purposes; nothing in it constitutes legal or professional advice — for specific tax questions related to your business, be sure to consult with a professional. Payroll processing trusted by thousands nationwide. What is the deadline for employers to file W-2s? This is the most important section, so pay attention. It summarizes how much money you made and the amount of each tax that was withheld from your wages. Box 1: Wages, tips, other compensation — This is how much you made from your employer last year in the form of wages, tips, and any other compensation. This is added to Line 7 of your federal personal income tax return. Box 2: Federal income tax withheld — This is how much federal income tax was withheld from your pay. This is based on the Form W-4 you filled out when you started working. Taxes vary based on your filing status (being single, married, etc. ), allowances for dependents, etc. 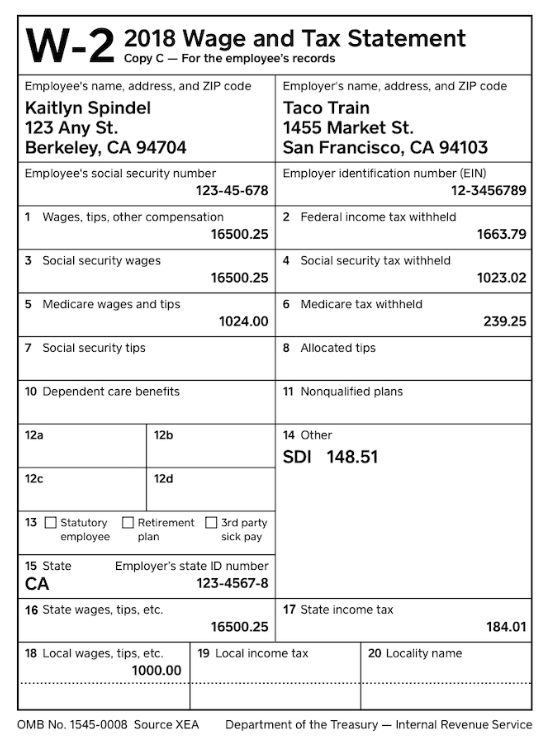 Box 3: Social Security wages — This is how much of your pay was subject to Social Security tax, not including tips. Box 4: Social Security tax withheld — This is how much Social Security tax you paid. Box 5: Medicare wages and tips — This is how much of your pay was subject to Medicare tax, including tips. Box 6: Medicare tax withheld — This is how much Medicare tax you paid. Box 7: Social Security tips — This is the total amount of reported tips that were subject to Social Security tax. Now that we’ve covered wages and federal withholdings, let’s go to the state section. Box 14: This box includes any other taxes you paid, union dues, uniform payments, health insurance premiums deducted, etc. In this case, it shows the amount of California state disability insurance paid. Box 15: This box has your employer’s state identification number. Box 16: State wages, tips, etc. — This is the total of your wages, tips, and other compensation that was used to calculate how much state income tax you paid for the year. Box 17: This is how much state income tax you paid. How do I prepare W-2s for my employees? Most payroll services mail a Form W-2 to employees. But sometimes, they charge you for each one they produce and send. This isn’t the case with Square Payroll. It’s included with the service. We want to make the W-2 process as hassle-free as possible for your business, so you can, well, get back to business. Can You Pay Employees in Cash?